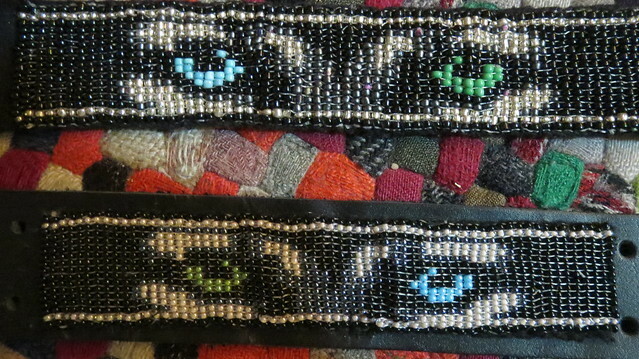 My middle daughter made some bead-work over the last little bit. She made the necklace first it did not come out how she wanted it so it became a necklace it was supposed to be a bracelet first. 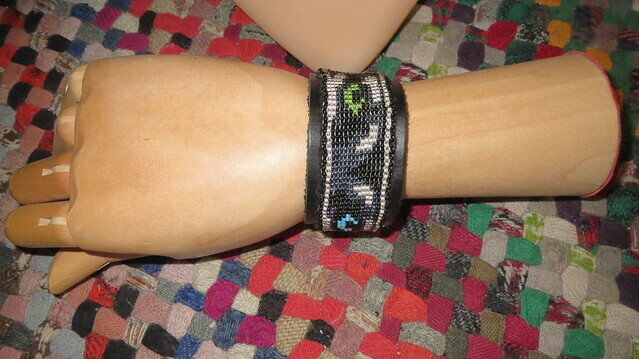 Then the bracelet was made and came out the way she wanted it to so it was given to a friend. 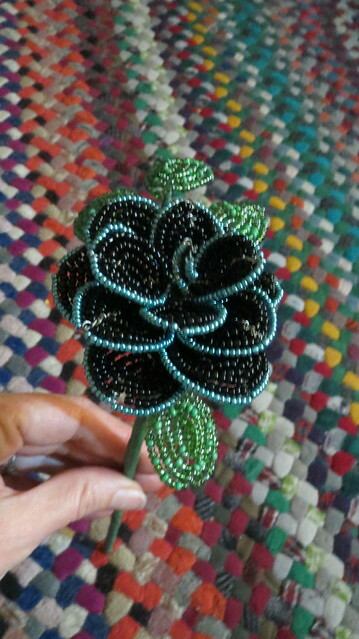 The rose was made last. 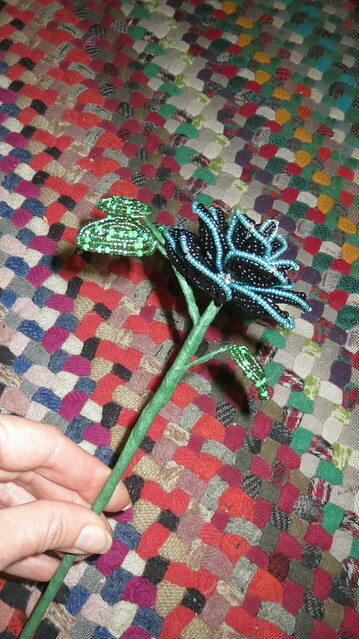 The rose was for a friend as well it was in that persons favorite colors. 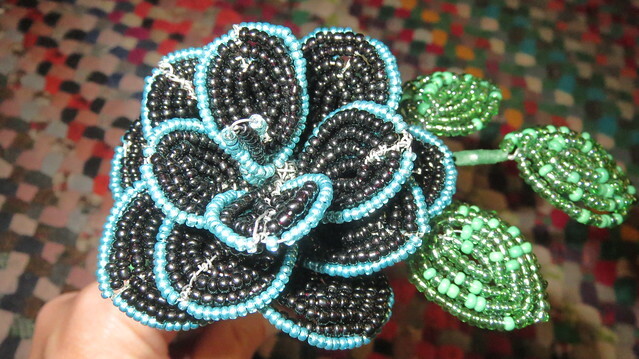 She redid the wolf eyes and made the bracelet she had been planning on she all so made a French beaded wire rose. 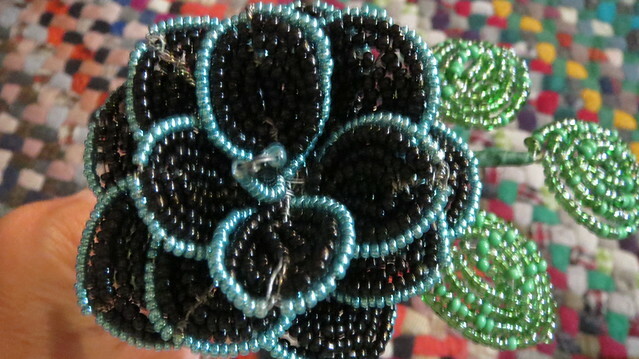 The bracelet is made with size 11 seed beads whereas the necklace was size 10 seed beads. 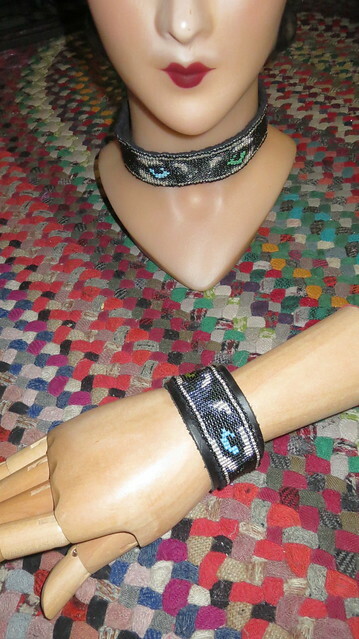 After doing the brick stitch she sewn it onto a piece of felt then that was sewn to a leather band so it could be worn as a bracelet.